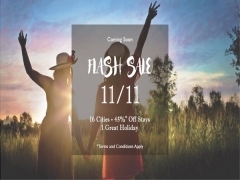 16 cities, up to 45% off stays and 1 great holiday. This single's day on 11th November, celebrate individuality and create moments with friends. 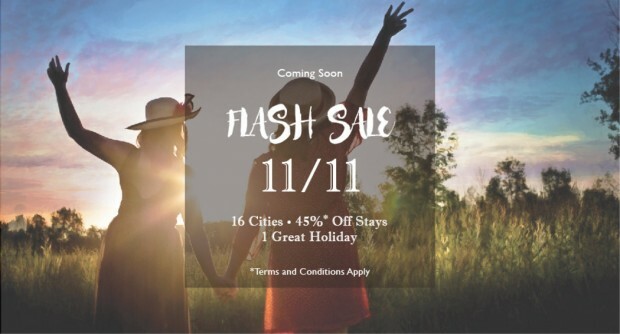 Only for 48hours, book from 10th November (12noon) - 12th November (12noon) and enjoy up to 45% off* Best Flexible Rates! Afterall, a vacation with great deals is what we absolutely love. Stay tuned and watched this space on 10th November! Checkout Frasers Hospitality for more details about this offer and to book your seats now!